Theo James is an English actor best known internationally for portraying the role of Tobias “Four” Eaton in The Divergent Series and appearance in the televisions series, Bedlam and Golden Boy. Born on December 16, 1984 as the youngest child of his parents, Theo initially had no plans about pursuing a acting career which is why his professional acting debut came in 2010 when he was already 26 years old. After making his debut with A Passionate Woman, James has appeared in a couple of more television series till now including Bedlam, Room at the Top and Golden Boy. The actor made his big-screen debut with a role in You Will Meet a Tall Dark Stranger but his breakthrough role came in 2014 when he was cast for the male lead role of Tobias “Four” Eaton in the film Divergent. After that, the actor has not only reprised his role in the sequels of Divergent series but has also appeared in films like The Benefactor, Underworld: Awakening and London Fields. 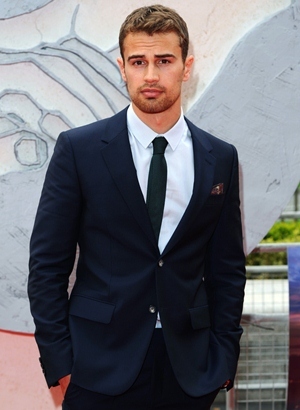 Apart from acting, Theo James also has keen interest in music and used to be a singer for London-based band Shere Khan. While in his personal life, the actor has remained in a relationship with actress Ruth Kearney from 2009 onwards. Below is the list of complete actor Theo James body measurements like his height, weight, chest, biceps, waist and shoe size. 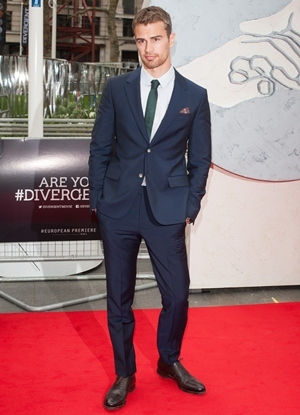 Theo James is the youngest of his parent’s five children. The actor used to be the lead singer and guitarist of a London-based band, Shere Khan. 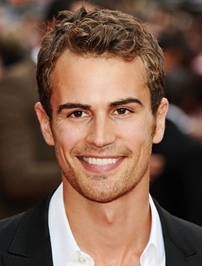 Prior to gaining success as an actor, Theo worked as a bartender and lifeguard. In his early career, many people and even some paparazzi mistakenly thought of him as actor James Franco.